To enable member economies to adopt digital technologies in the industry, agriculture, public, and service sectors for holistic socioeconomic development, the Asian Productivity Organization (APO) is incorporating a strategic foresight-based approach and practices to assist them in developing future-ready capabilities and national productivity frameworks. 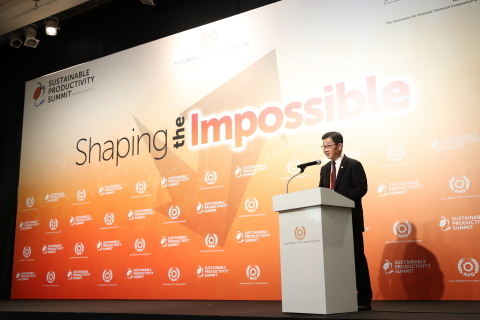 The Secretary-General reported that the APO had set up a Futures Team and started using artificial intelligence (AI) to identify emerging global trends and driving forces to develop initiatives that promote not only traditional productivity but also sustainable productivity. “Corporate leaders and decision makers in government who adopt the business-as-usual approach risk being left behind. We cannot rely only on existing models and expect to remain relevant in the decades to come,” warned Dr. Santhi. “Governments around the world are wrestling with how to regulate technologies like AI, drones, and autonomous vehicles in ways that protect the public but allow companies to innovate. How governments regulate these technologies will have a big impact on how the technologies progress,” he concluded. The APO Sustainable Productivity Summit was followed by a two-day Strategic Planning Workshop where APO Directors and Heads of National Productivity Organizations reviewed specific requirements and drafted future development programs. Speakers at the Summit included Ryan Janzen, Co-Founder and Chief Technology Officer, TransPod Inc., on the impact of emerging technologies such as the hyperloop and tube transport; Dr. Niklas Arvidsson, Associate Professor, Department of Industrial Economics and Management, KTH Royal Institute of Technology, on key factors in the development of a cashless society; Andrew W. Brentano, Chief Executive Officer, Tiny Farms Inc., on alternative options to conventional crops and practices; and Takeshi Arakawa, SST Management Team Manager of the Business Solution Division, Panasonic Corporation, on sustainable smart towns and smart homes.